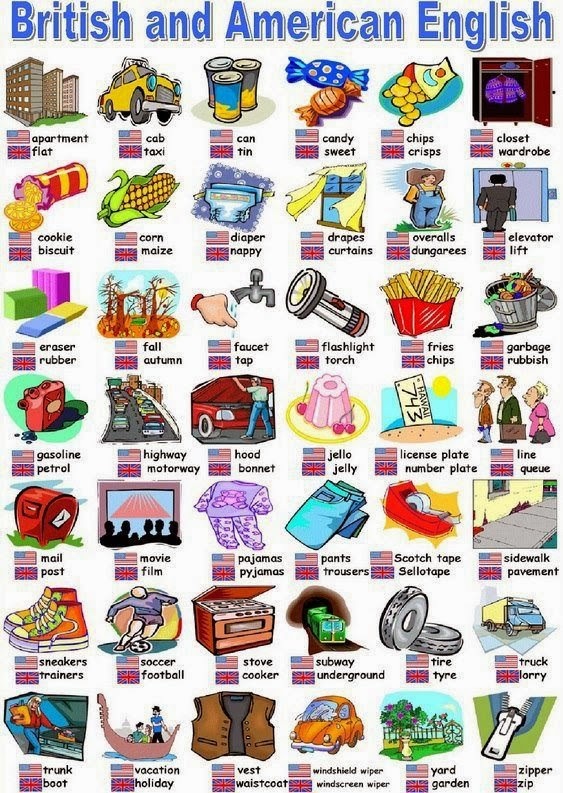 There has been a lot of talk and arguments about differences between British English and American English. Naturally, there are significant differences. However, in my opinion, not significant enough that speakers from both sides of the pool don't understand one another completely. The following is a list of some items which have a different name in Britain and the USA.